TH2015-X-IR is a MINI-Symphony Multicolor LED controller with IR remote control for RGB LED strips (WS2811, WS2812). LED controller — 1 pc. 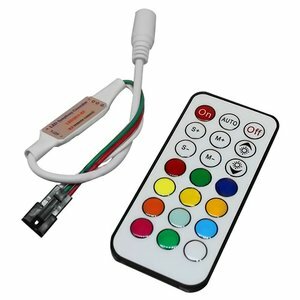 IR remote control — 1 pc.